Pig Roast at the old Rectory – early 1960s. 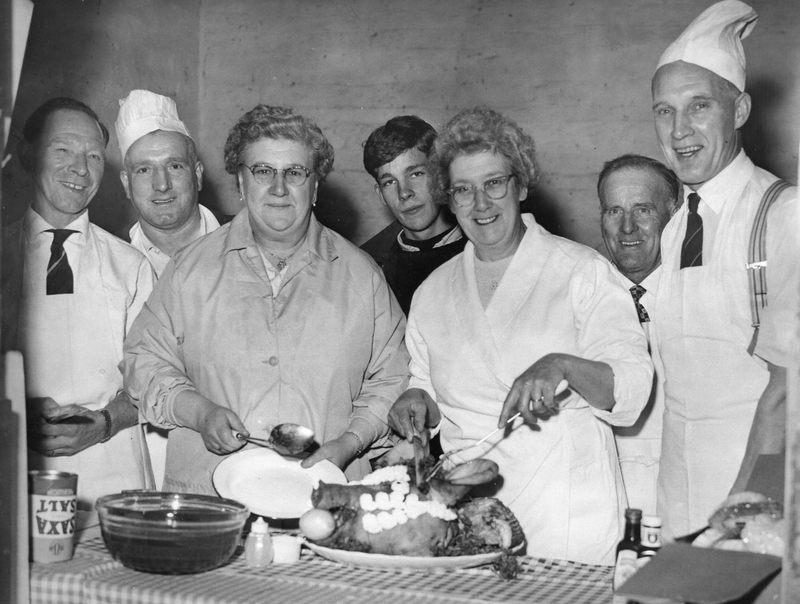 L-r Joe Jennings, Bob Walker, Mrs Walker, Unknown, Mrs Axtell, Harry Dobson, Wilf Brookfield. Photo copyright of Dave Brookfield.